The attack, on the outskirts of Maiduguri city, came days after the government acknowledged it was holding ceasefire talks with the Islamist militant group, which pledges allegiance to ISIS. The attack happened in the villages of Bale Shuwa and Bale Kura, close to the city's military camp, said Bello Danbatta, chief security officer in the Borno State Emergency Management Agency (SEMA). "We picked up 15 bodies from Bale Shuwa and three more in Bale Kura," said Danbatta. 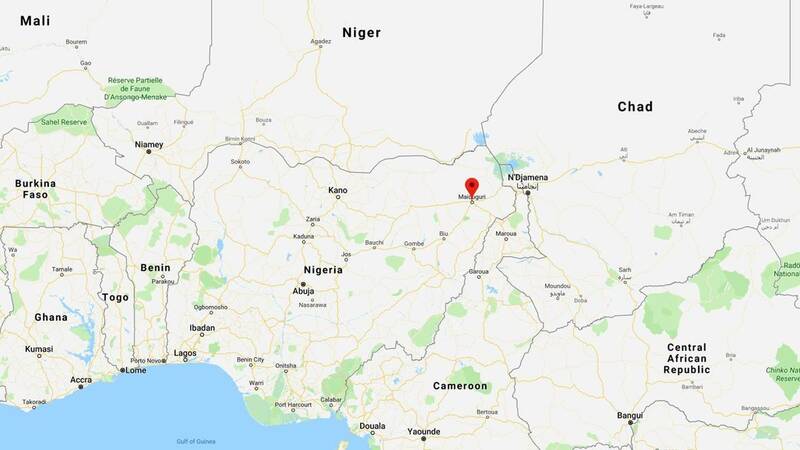 Boko Haram militants were pushed back after an hourlong battle, Ibrahim Liman, a member of the militia force fighting the extremist group, told CNN. The attack comes less than two weeks after Boko Haram released many of the 110 schoolgirls kidnapped in February from Dapchi, in northeastern Nigeria. During negotiations to release the girls, the government announced it was in talks with the militant group. "Unknown to many, we have been in wider cessation-of-hostility talks with the insurgents for some time now," Minister of Information and Culture Alhaji Lai Mohammed said in a statement in late March. It was believed to be the first time the government had made public that it has been in ceasefire talks with the militant group. Boko Haram, its name translating as "Western education is sin," has been waging a yearslong campaign of terror aimed at instituting its extreme version of Sharia law in Nigeria. Since forming in the late 1990s, the terror group's tactics have intensified in recent years -- from battling Nigerian government soldiers to raids on villages, mass kidnappings, assassinations, market bombings and attacks on churches and unaffiliated mosques. The group sparked international outrage four years ago by kidnapping nearly 300 schoolgirls from a boarding school in Chibok in Borno state. Most of Boko Haram's attacks have taken place in Nigeria. But neighboring countries, such as Cameroon and Chad, have also been targeted. In mid-March, Nigerian President Muhammadu Buhari said his government was willing to pardon insurgents who "lay down" their arms.